No other art form can bring stories to life the way that live theatre can. There is something magical about a group of people banding together, interpreting a script and presenting the author’s words for the audience to experience in person. Martinsville-Henry County is honored to have two theatre groups offering year-round entertainment to both residents and visitors to our great community. 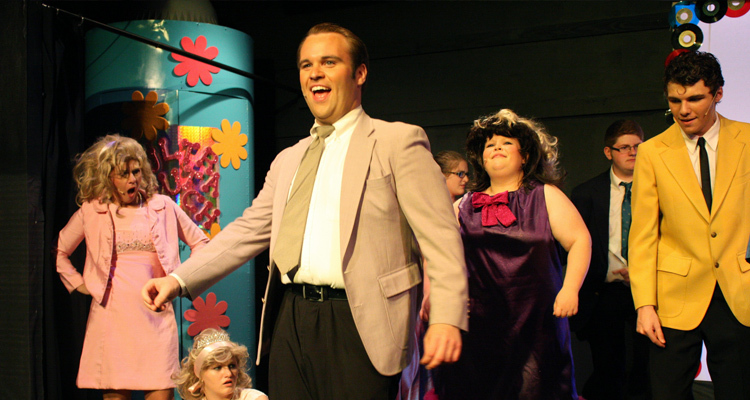 TheatreWorks Community Players was founded in 2004 and has been active for fourteen seasons. It is estimated that more than 600 individuals have participated in TheatreWorks productions from their first show, Little Shop of Horrors, to their most recent show, Don’t Drink the Water. Founded in the 2012-2013 academic year, the Patriot Players call Patrick Henry Community College home. The company is in their sixth season and more than 500 volunteers have worked with the company since its first production, Find the Magic in You, in April 2013. Over the years, big named productions have made their way to Martinsville-Henry County. For the Patriot Players, their six seasons have included well-known titles such as Shrek, Legally Blonde, The Color Purple, Dreamgirls, CATS, Into the Woods, and many other beloved musicals. TheatreWorks has also had a wide variety of fantastic productions including: Chicago, A Streetcar Named Desire, Les Misérables, Hairspray, A Raisin in the Sun, and A Few Good Men. Both companies have been working tirelessly to bring great productions to our area. Local theatre troupes rely heavily on volunteers, advertising, sponsorships and more to keep the art of the stage alive in our community. Get involved in upcoming shows in any way you can. Volunteers are needed on the stage, as technical and backstage crews, in the lobbies, as ushers and many other roles. If you can’t donate your time, considering advertising in show programs or sponsoring productions. Full information on ways to get involved can be found at TheatreWorks and PHCC Patriot Players. Mamma Mia! tells the story of Sophie, a twenty-year-old bride-to-be who longs to have her father walk her down the aisle, but she has no idea who he is. With nonstop laughs and exhilarating dance numbers set to the iconic music of ABBA, Mamma Mia! has been a global smash hit since its premiere on Broadway in 2002. In the madcap comedy tradition of Lend Me a Tenor, the hilarious Moon Over Buffalo centers on George and Charlotte Hay, fading stars of the 1950s. Have fun as their story is unveiled and literally everything that could go wrong does go wrong.